Season Two of AMC&apos;s mega-hit The Walking Dead is set to premiere this fall. At around the same time, McFarlane Toys will also launch the second series of badass action figures pegged to the zombie show, which you can see above. MTV exclusively got their hands on the first pictures of two of the new figures. 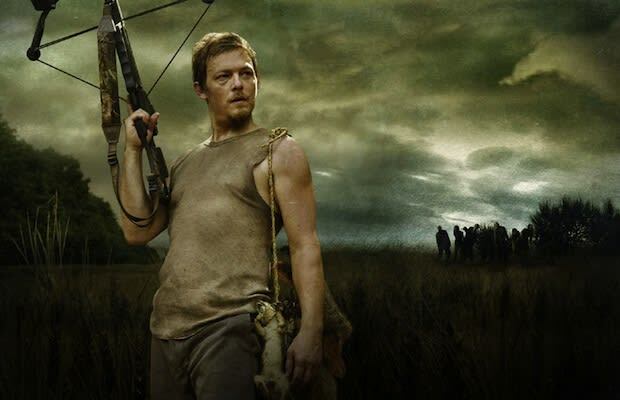 One is of the popular crossbow-wielding redneck Daryl Dixon—a character who never appeared in the comic yet who&apos;s played by actor Norman Reedus. The other is of a "Walker" zombie, which was prominently featured in the first episode; the "Walker" zombie can also move if you wind it up, adding another dimension of coolness. Each action figure will go for $14.99 and gives fans something to clutch onto when the next season of zombie fuckery finally comes back into our lives.